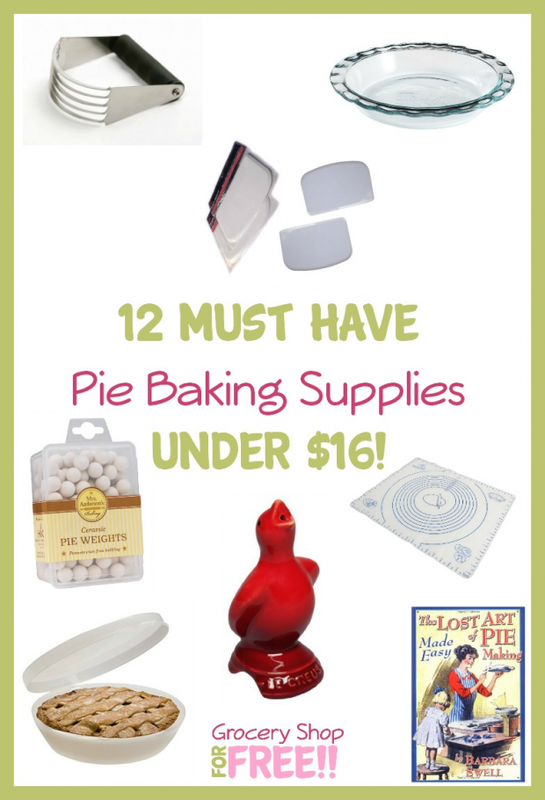 12 Must Have Pie baking Supplies Under $16! You are here: Home / Great Deals / Amazon Deals / 12 Must Have Pie Baking Supplies Under $16! MMMmmm, pies! There is not much I love more than a great piece of apple pie! I’m never really sure if I love the filling or the crust the most! (It’s a tie!) 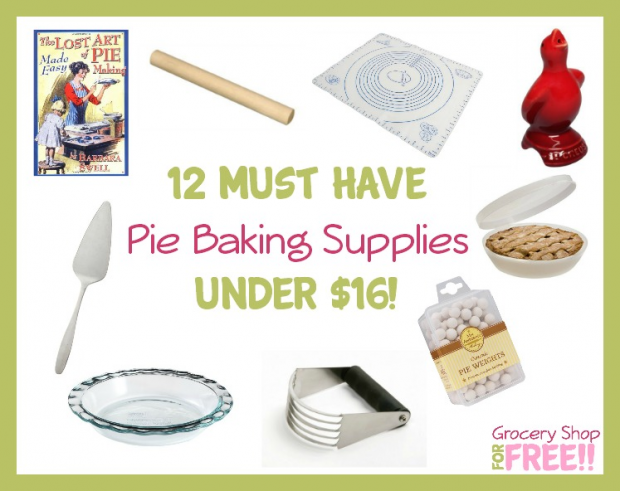 Take a look at this list of 12 Must Have Pie Baking Supplies Under $16 – everything you need to make, bake, take and serve a pie! 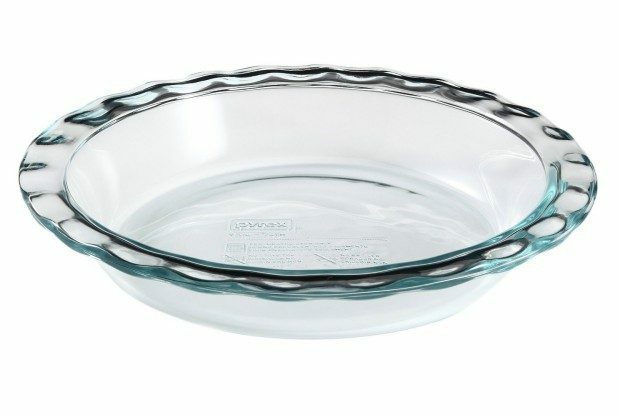 Pyrex Easy Grab 9.5″ Glass Pie Plate, 2 Pack – People will argue glass vs. metal vs. ceramic and they all have their merits. But hands down I’m a glass pie plate kind of gal! 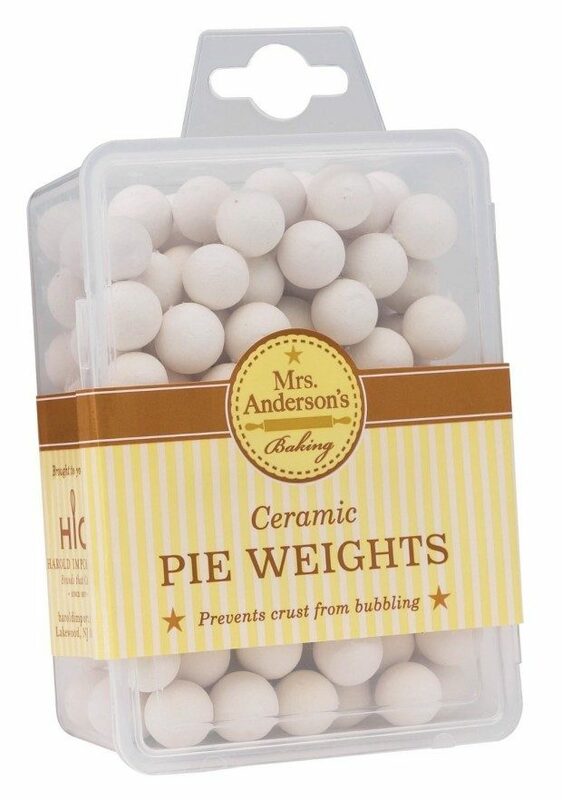 Mrs. Anderson’s Baking Ceramic Pie Weights – If you need a pre-baked crust you need to have something to hold the crust down while it bakes! 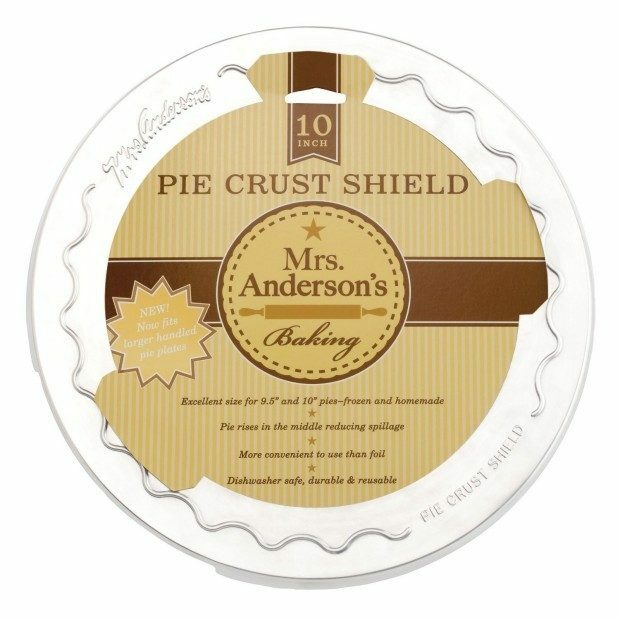 Pie Crust Shield – Nothing worse than an over done pie crust! Save the edges! 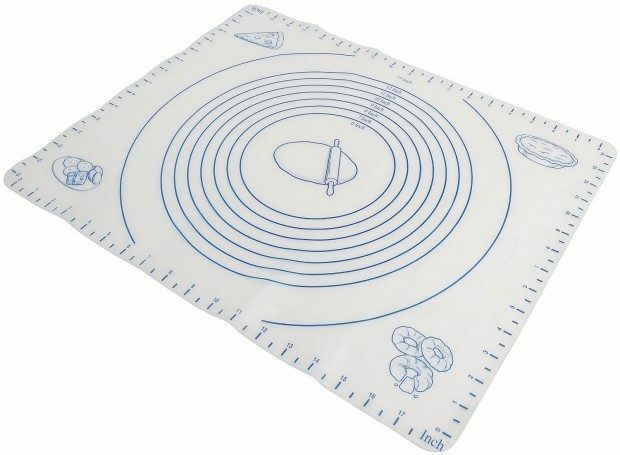 Silicone Pastry Mat with Measures – It takes a while to figure out how big you need to roll out a crust. This cuts down on the guess work! 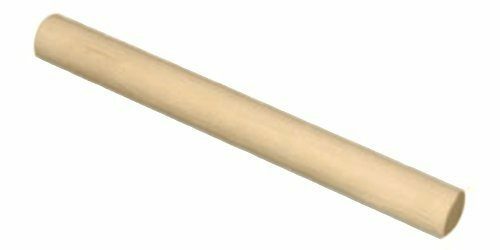 Maple Rolling Pin – I like this solid maple rolling pin. Evenly rolls the crust (unlike the tapered ones) and so much easier to keep clean than the ones with handles! 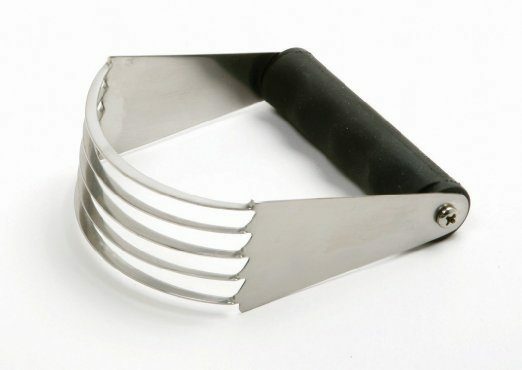 Pastry Blender – Sure you can use two forks to blend your fat into the flour, but this is so much more efficient! 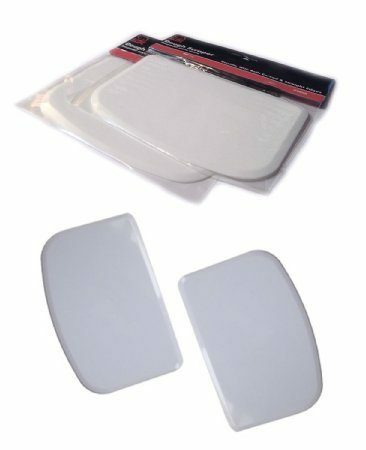 Bowl and Dough Scrapers – Helps you to get everything off the counter and out of the bowl! 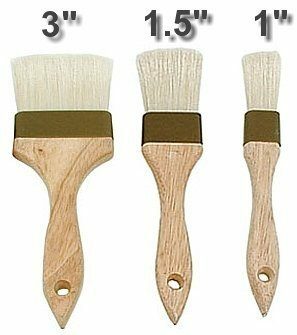 Pastry Brush – Silicone brushes are fabulous for barbecue sauce, but for spreading milk, eggs or butter on a pie crust, these boar bristle brushes are superior. 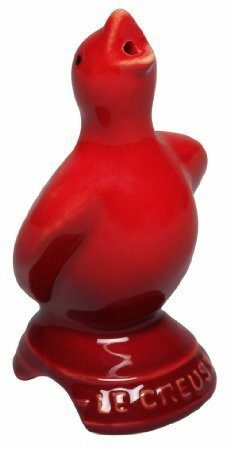 Pie Bird – Don’t let those fantastic tasting juices escape and end up on the bottom of the oven. A pie bird lets the steam out to keeps things from bubbling over! Pie Server – The slightly serrated edge slices through the crust and the shape helps you to slide the piece out. Simple! 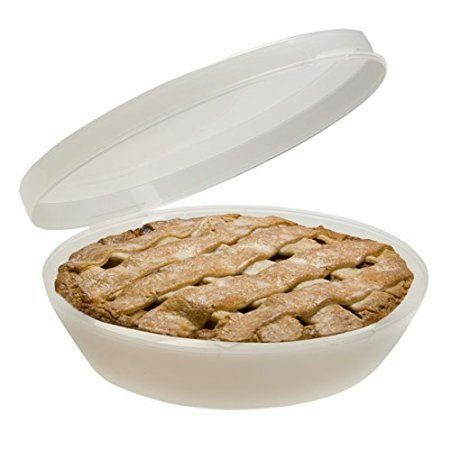 Pie Carrier – I prefer this carrier because it doesn’t take up too much more room than the pie. Great when you are traveling and are tight on space. 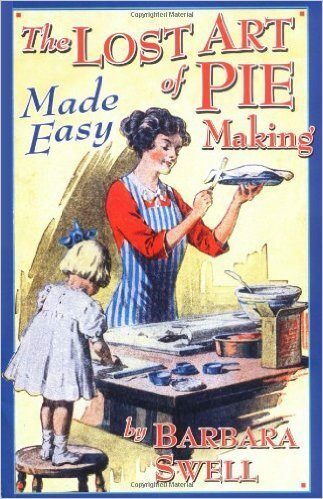 The Lost of of Pie Making Made Easy – Don’t know how to make a pie? This book got lots of great reviews, especially from newbies! Pie could just be the most wonderful food in the universe! Whether you prefer your apple pie with ice cream, whipped cream, cheese or plain, you have created a masterpiece!